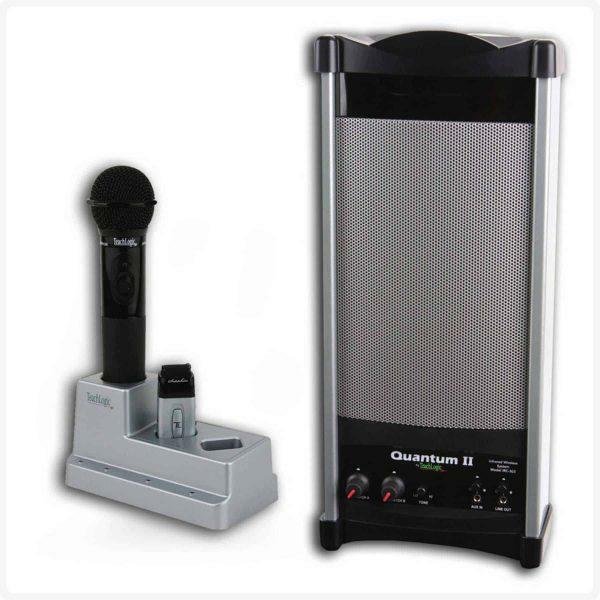 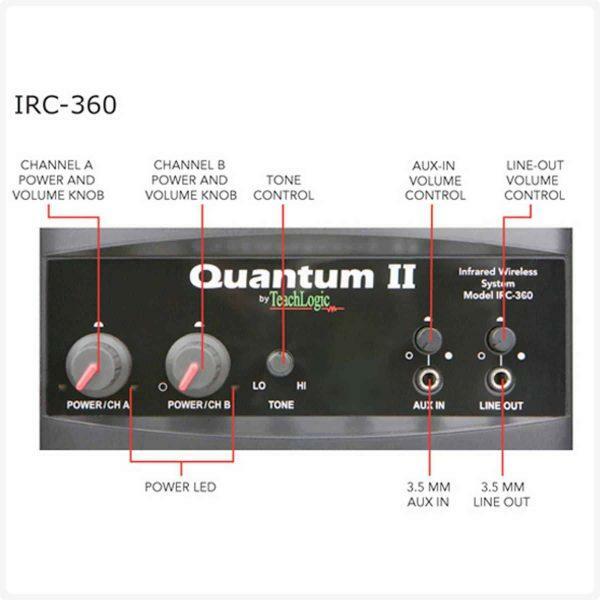 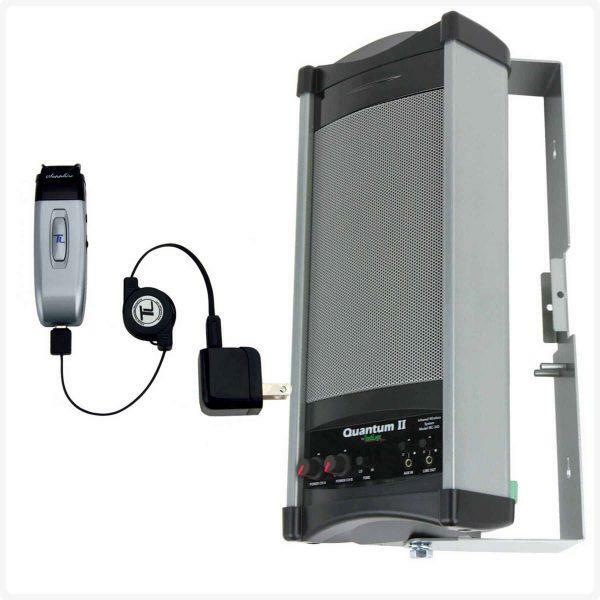 The Quantum II is a completely self-contained infrared wireless microphone sound system for portable use or permanent installation. 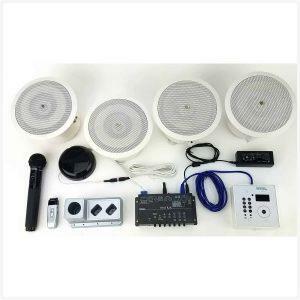 Two wireless microphones can be used simultaneously, one for the teacher and a handheld for student participation. The Quantum II is a completely self-contained infrared wireless microphone sound system for portable use or permanent installation. 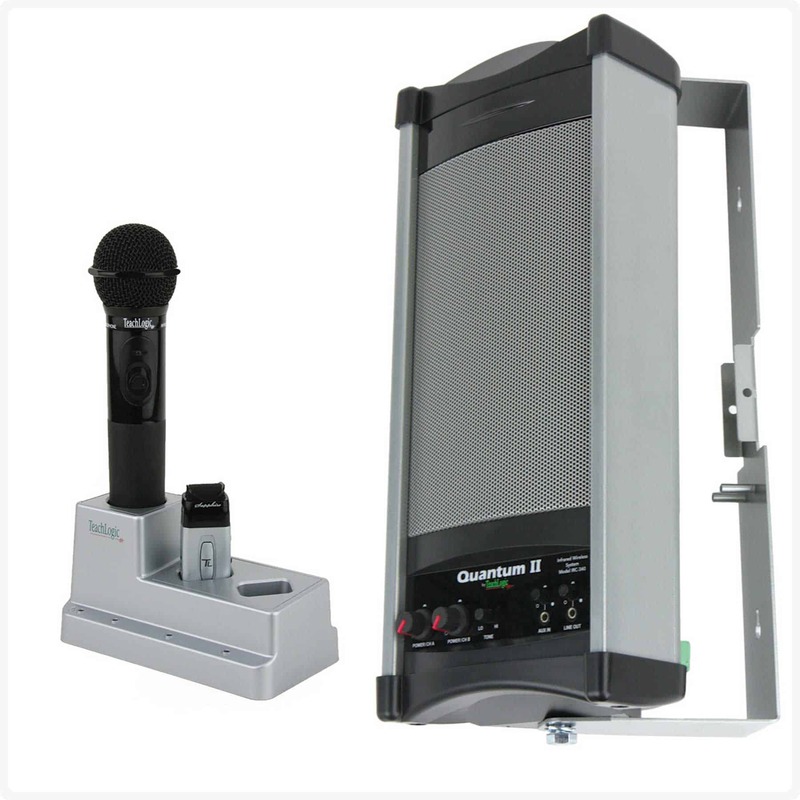 Two wireless microphones can be used simultaneously, one for the teacher and a handheld for student participation. 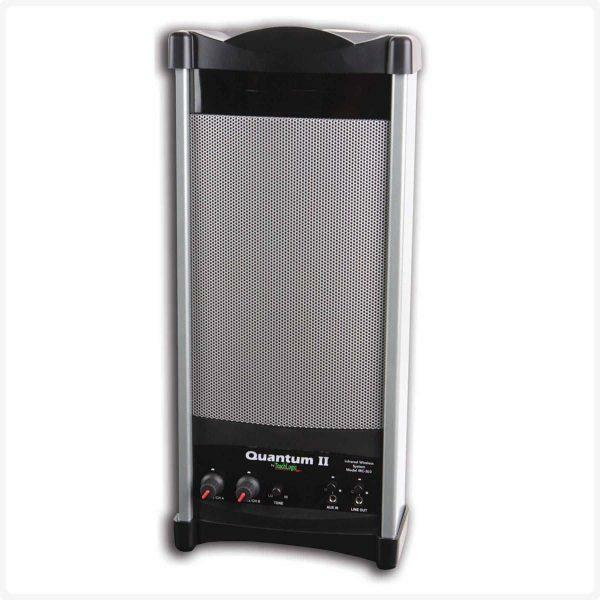 Quantum II has a powerful 30-watt amplifier and a full range speaker for complete coverage of a typical classroom. 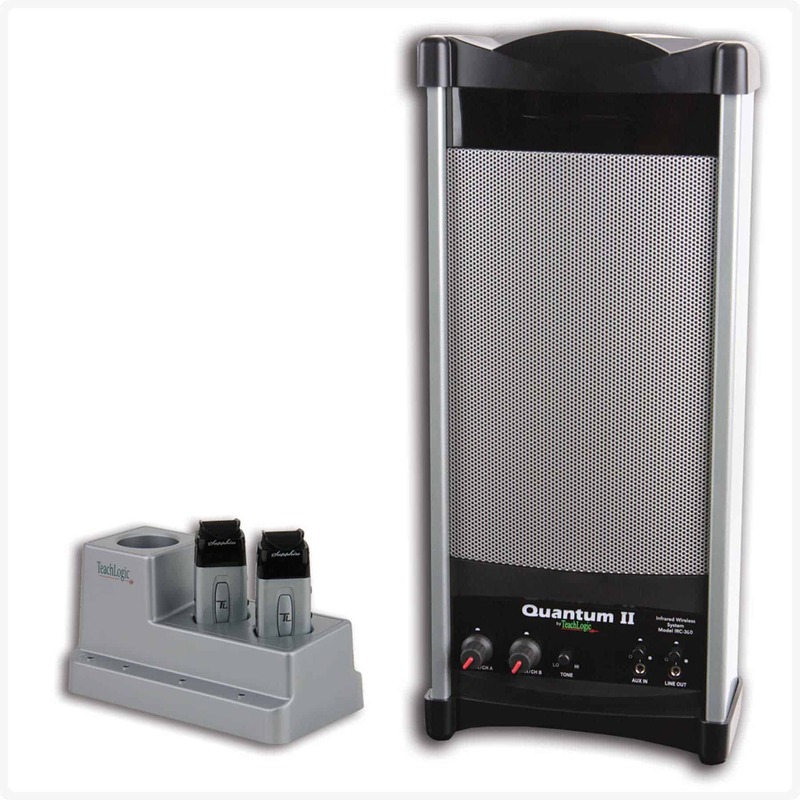 It can be complemented by a companion speaker for improved sound distribution throughout the room.